Zea mays can grown in light (sandy), medium (loamy), and heavy (clay) soils. Although, it can thrive in many different types of soils it requires that the soils are well-drained. Sweet corn prefers that the soils be slightly acidic or neutral. It cannot grow in the shade. Also, it needs a cultivated bed of soil to thrive. 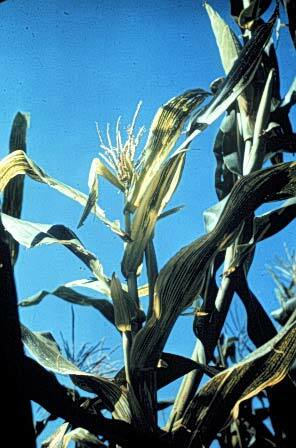 Zea mays requires nitrogen, phosphorus and potassium to thrive. These nutrients are generally attained through chemical fertilizers or manure. They are added usually before plowing, at planting time or as the plants grow. Sweet corn generally begins developing two to three days after it is planted. Zea mays has a growing season of four to six months, this generally begins in April or early May. The soil is prepared for planting by using a plow. The plow breaks the soil up to a depth of six to ten inches and spaces each row of corn twelve to sixteen inches apart. This protects the soil from erosion. The optimum soil temperature for planting Zea mays is fifty-five degrees Fahrenheit. Seeds are planted fifteen to thirty inches apart and about two inches deep. Harvesting usually takes place when the moisture content of the mature kernels reaches 28 percent. This is usually between August and late October. A corn combine picks the ears off the stalks, removes the husks, and shells the corn. The shelled grain is dried by heated air and stored in bins until further use. Where is Zea mays Grown? Zea mays can be grown all over the world. 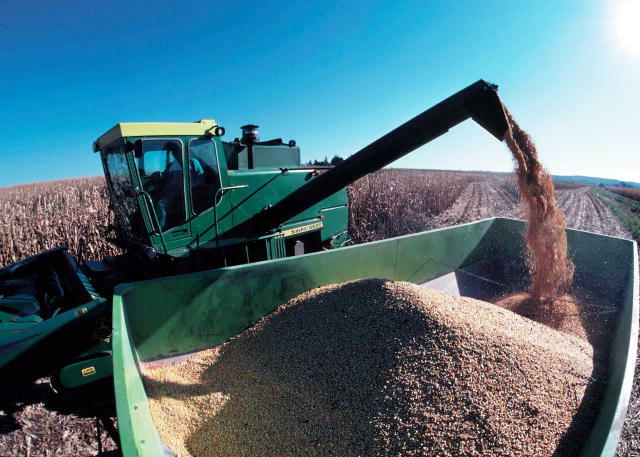 The world's leading producer and exporter of corn is the United States. The Midwestern United States, known as the Corn Belt, provides two-thirds of the world's supply of corn. The leading corn-growing states incl ude the states of Iowa, Illinois, Nebraska, Minnesota, Indiana, Ohio, Kansas, North Dakota, Wisconsin, and Missouri. Other countries that are major producers of corn include China, Argentina, Brazil, France, Mexico, and Romania. Other Organisms in Zea mays' Habitat Many organisms interact in Zea mays habitat because it is a good source of food and can also provide shelter. Zea mays grows to be about eight feet tall at maturity. 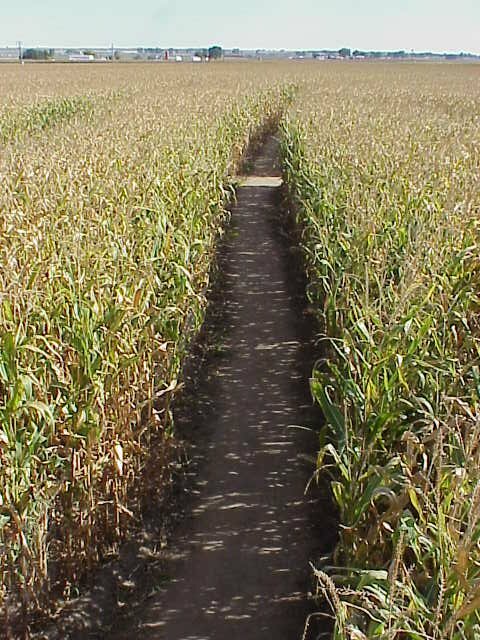 When corn is grown in a field with thousands of other corn plants, it can provide shelter for medium to small-sized animals. In the Corn Belt, it is common to see white-tailed deer in the corn fields. Worms are also are common in Zea mays' habitat. Birds and different types of mammals, such as squirrels and mice use Zea mays as a source of food. Zea mays is autotrophic, which means that it produces its own food through photosynthesis. This makes sweet corn a primary producer and allows many different trophic levels on the food chain to feed on it. -Odocoileus virginianus (White-tailed Deer) eats Zea mays and also may use cornfields for shelter. -Lama Galama (Llama) eats Zea mays. Zea mays has a single stalk supported by adventitous roots or prop roots. The adventitous roots act as a mechanism of support for the plant. They originate from the stalk and leaves and can be seen above the soil. The roots below the soil surface are used to absorb water and minerals from the soil. About twenty long, broad leaves grow off the stalk, but only fifteen usually survive until maturity. The leaves of the plant are used in photosynthesis to produce sugars. The flowering parts of the plant are the tassel at the very top, the stalk (male reproductive structure) and the ear (female reproductive structure). The ear is protected by a husk and is about nine inches long with about eighteen rows of kernels. Since Zea mays is a monoecious plant these flowers aid in reproduction. This is explained more in depth in the Reproduction section. The ear is covered by kernels and protected by a husk.